Went out to Jersey City, NJ to MANA contemporary which is becoming a MALL of art studios and exhibitions. A lot of the art I saw was mediocre as were the rash of shows. I was very disappointed by Saul Ostrow’s curated “Here’s Looking Back at you: Images of Woman from the ESKFF Collection.” There are big names with small works and lesser known artists whose works were larger and cuddling up to cheap gimmickry highlighting bravado brushwork signifying nothing. Tour-de-force photo-realistic paintings that were a shallow display of technique- all surface and nothing to plunge into. 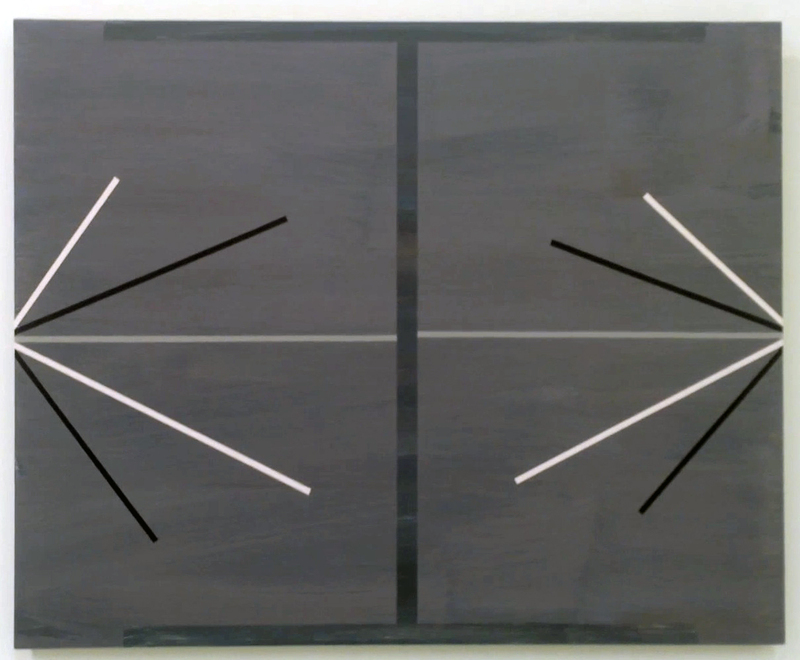 The best exhibition by far was curated by Phong Bui titled INTIMACY IN DISCOURSE: REASONABLE SIZED PAINTINGS. 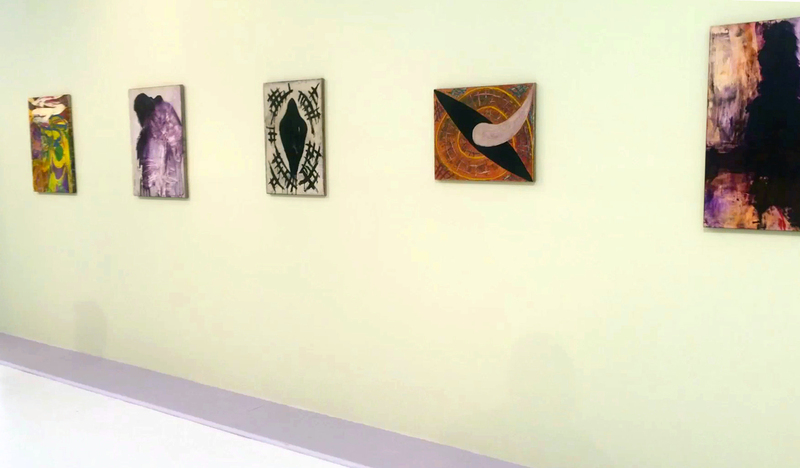 Each of the artists showed a series of works – all beautifully curated – chosen with intelligence and hung with an awareness of how they played off against one another. 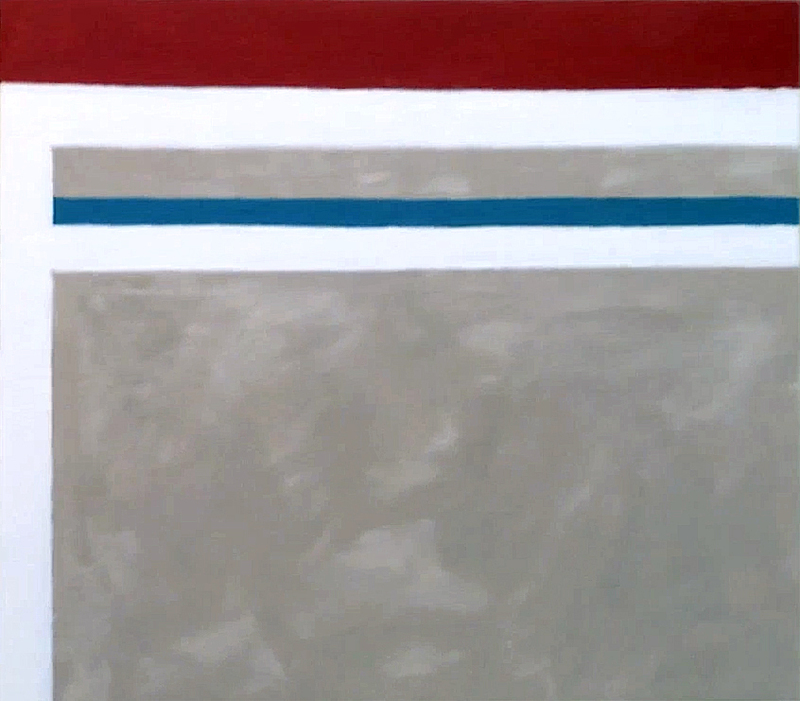 There are varieties of paint surfaces and styles from aluminum to burlap; abstraction to figuration and a few that were a combination of both. 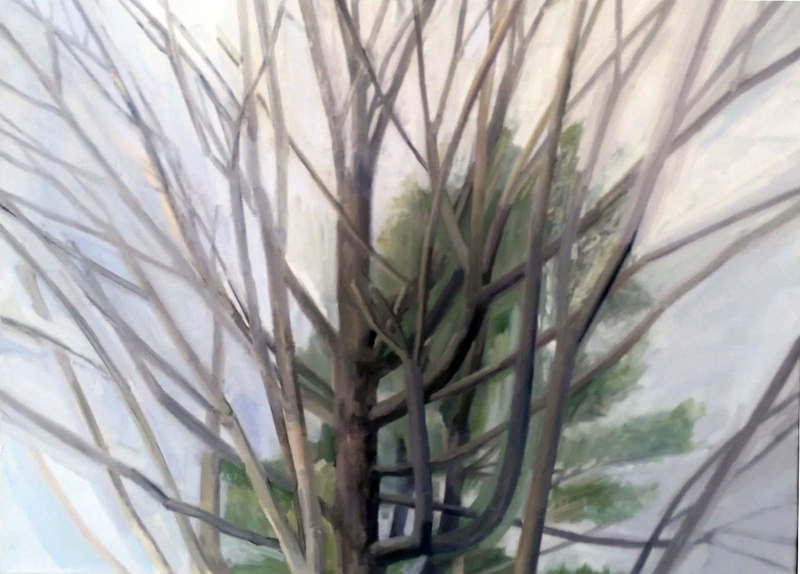 I was immediately attracted to the 4 simple, lovely paintings of trees silhouetted against the sky by Sylvia Plimack Mangold – her brushwork was so fluid that I was thrilled. Minimalism meets figuration with a loving hand. A wonderful mini, mini retrospective of works by Bill Jensen- ranging from the 1970’s to 2013 and a good choice of terrific paintings by Thomas Noskowski. I also responded to Robert Storr whose small strangely colored paintings – had lost some of the awkwardness that I remembered and actually loved; but though more confident there is a still a quirky color palette that threw me off balance. 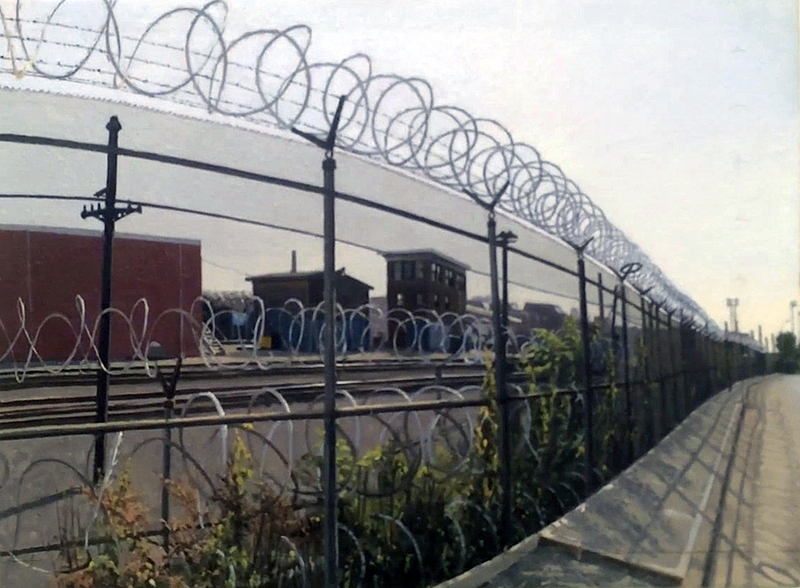 Rackstraw Downs showed images from his Barbed Wire series and one slightly larger more panoramic view. I am less and less of a fan of his work – feeling that the colors and brushwork are in a tradition in which he is perhaps too comfortable – despite being successful. 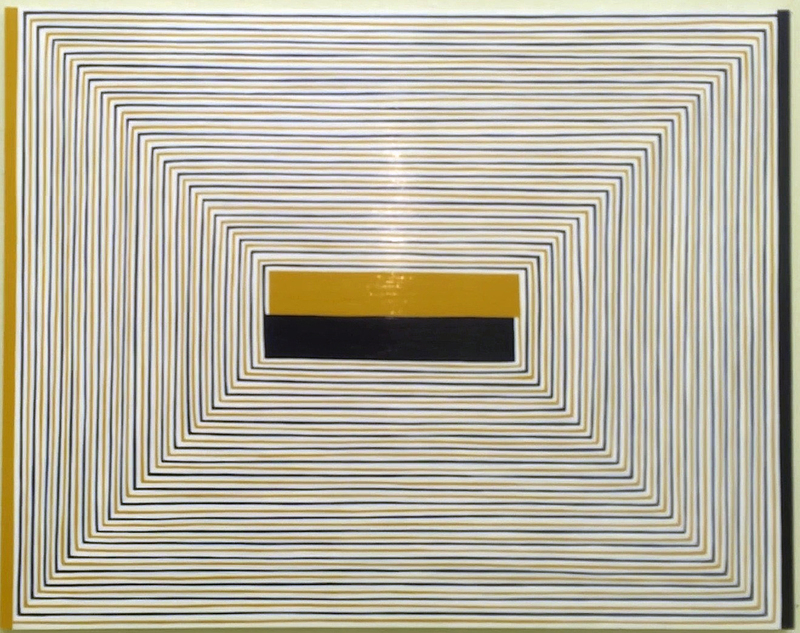 James Siena had some beautifully painted meticulous op-art-y works that lit up the room as did Ann Pibal and Tom Burckhardt. 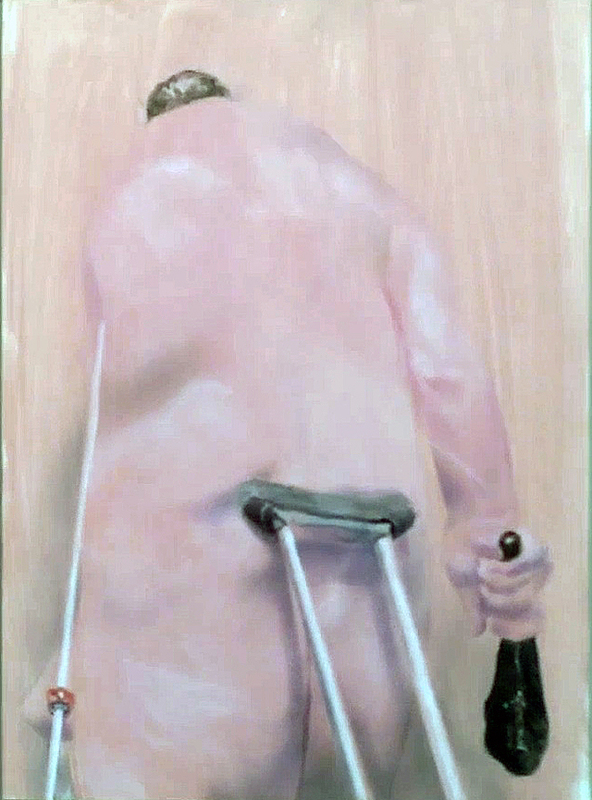 Robert Feintuch’s weird and often grotesque figurative paintings had me return to look at them again and again because they felt so compelling in their distorted beauty. 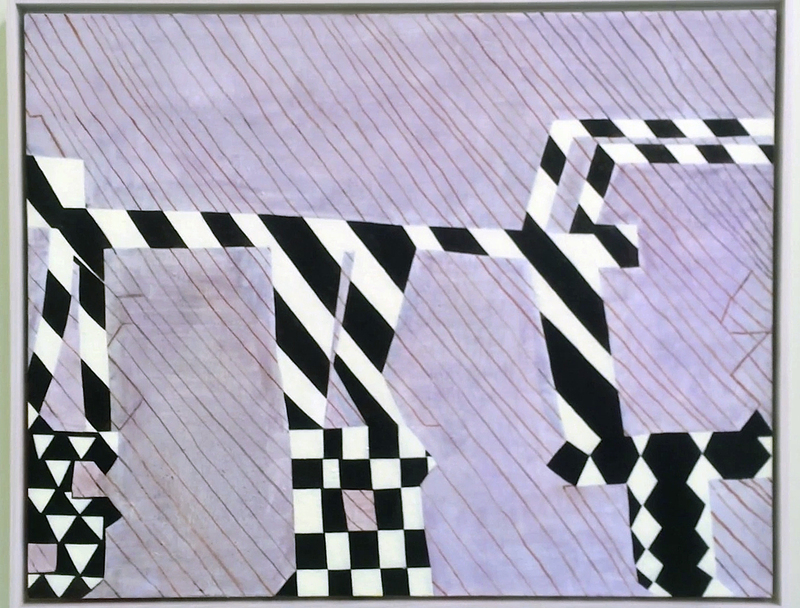 Ellen Altfest’s image of a leg – an abstracted form cut off floating in the center of the canvas – combined the sensuous with the mysterious – a small work that makes me want to see many more. This is just a taste of what is available to see and worth the trip to 888 Newark Ave, Jersey City, NJ 07306.